It’s hard to believe that two years ago, I wrote a blog post about HH and Engagement Rings and now, I have my own engagement ring! I had some fears about it before, but between successful Iontophoresis treatments and my excitement about the engagement, my anxieties have gone away. My fiance, Francis, put so much thought and effort into the proposal and I couldn’t be happier with how things turned out! He has always been incredibly supportive and understanding of my HH. For the proposal, he took my HH into consideration and came up with ways to make sure everything would be perfect, including the ring. I am so lucky to have him in my life and I hope you enjoy this beautiful guest post he has written. Hyperhidrosis was never an issue in the first place. In fact, I was supposed to be all set. I apologize that the title might be a little misleading since this is really a story about how I made this more complicated than it needed to be. A year or so before I asked her parents’ blessings, Caryn had actually e-mailed them information on all the rings she liked. So when I worked up the courage to ask for her parents’ blessings earlier this May, I was given everything I could’ve ever needed for the ring, ranging from the styles and cuts to the actual ring size. I had some vague ideas on how I would propose which included taking her to a daffodil garden in Atlanta (she’s in love with daffodils) or proposing to her on an ice rink during winter (which is how I asked her to be my girlfriend). My ideas were decent, but not only would she have seen those proposals coming, the ideas depended entirely on seasons, which would’ve made me wait for this winter or next spring. It was only until I was about to leave her parents’ house that I came up with the idea of proposing at the finish line of a half marathon. It was brilliant! We’ve run one half marathon every year for the last three years and all the dedication and hard work has meant a lot to both of us. She would never see this coming. “I thought you gave up on half marathons last year?” she asked. Okay, I did tell her that half marathons were too long and painful, but I could look past it just this once. I am proposing after all. A couple of days later, we officially signed up for the Grete’s Great Gallop Half Marathon in Central Park at October 5th! While she was busy creating a training guide, I was busy figuring out all the logistics behind the proposal. “Are you going to run with the ring?” one friend asked. “Don’t you think you’re going to be out of breath?” another friend inquired. As much as I initially wanted to deny that this would be an issue, this really doesn’t bode well for the ring. Her mom provided me with her ring size 9. 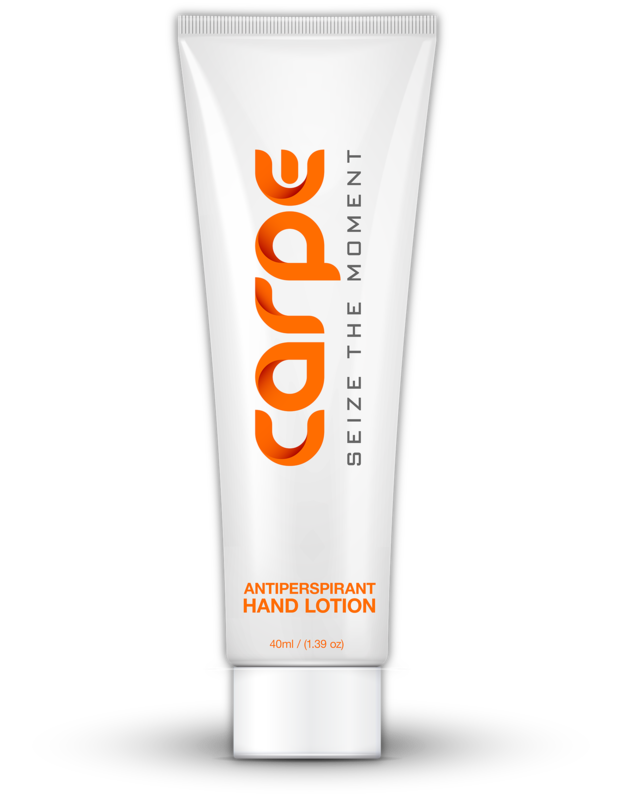 This is what Caryn uses to give herself enough room when her hand swells up. I would be forcing her to sweat and swell up her hands if we run this race. This wouldn’t be an issue in a normal situation, but would she have issues putting the ring on after running 13.1 miles? Could I propose to her before the race? I thought about it briefly, but found it to be awfully anticlimactic, so I knew it wouldn’t be a real option. I was so excited about the idea initially but the more I thought about it, the riskier it became. Her mom assured me that Caryn would like the proposal no matter what but I certainly didn’t want to disappoint her. I wanted to make sure I did things right. Amidst of all of this, my friends kept bugging me that the ring size seemed off, which made me doubt it was correct. This was frustrating because I didn’t know how Caryn would feel if I told them about her HH and I just didn’t know if they’d understand. I knew nothing about ring sizes to begin with, but once I got clarification about the size, I assured them that the size was correct and it’s because Caryn’s hands have a tendency to swell up. 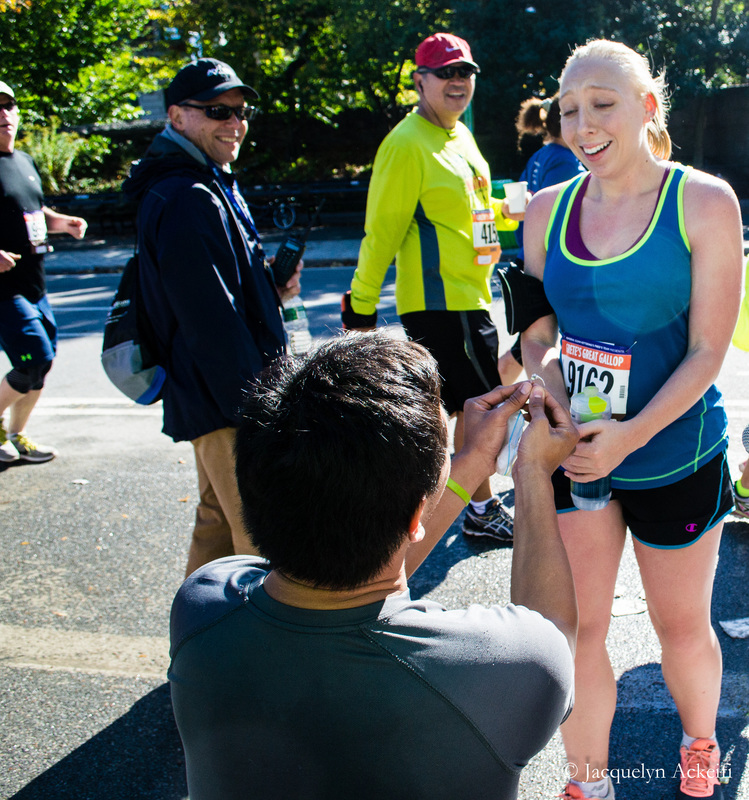 I realized that there were other options outside proposing at the beginning or the end of the race. I could propose to her in the middle of the race instead. This way, her hand would be less sweaty. The risk involved with the ring fitting on her hand was still there, but I felt better about her hands in the middle of the race. We were riding the subway one day when Caryn started getting anxious about the upcoming gig we were traveling to. Although she’s been doing the Iontophoresis treatment, her hands started sweating more as we got closer to the venue. She started complaining that her hands were getting sweaty because she was nervous and all of a sudden, I found myself just blatantly asking her point blank. The ring would actually fit! Finally, a wave of anxiety lifted off my head and all I had to do was just bluntly ask her! I didn’t want to raise suspicions, but in my head, I thought I was so cool and smooth by sneaking it into the conversation. She saw right through it though, but fortunately, she didn’t really let my question get into her head. It wasn’t exactly smooth sailing afterwards. The week before the race, my entire plan almost crashed and burned in front of me when Caryn accidentally tripped on a staircase and fell on her ankle. Thankfully she was okay and my mini heart attack subsided, but it really put things into perspective. This was my plan from the start and this is how I planned to propose to her. Proposing alone is frightening enough as it is, but running a half marathon on top of that was the hardest thing I’ve ever done physically and mentally. And all of it could fail at a drop of a hat. It wasn’t just the Hyperhidrosis. One of us could get injured, the race could get washed out or she could plainly just have said no. But despite all those risks came the big payoff. The weather was beautiful and we had an amazing group of friends who were waiting for us in the 5 mile mark with their hand-written signs that said “Caryn, Francis Has A Question For You.” Caryn complained that my pace was too fast from the start of the race, but my nerves and adrenaline were pushing me to get to that proposal spot. A few streets before we got to our friends, Caryn commented that we were almost half way through the race and I smiled knowing that I was about to change her life forever in the next couple of feet. The next three minutes were such a blur. The important things are that she said yes and the ring fit her finger. As much as I tried to envision how the proposal would go, there were details I could’ve never prepared for including the empty cups littered all over the ground from the water station. But the little things like that are what made it memorable. Could I have gotten away with doing something safer and avoided all this trouble? Maybe propose to her at an ice rink akin to how I asked her out? Her hands wouldn’t have been an issue and Caryn would’ve loved it all the same. But when you’re after someone who means the world to you, that risk is worth it. You just need to have the courage to take that leap of faith in the first place.